We started Spectre Security Coin to bridge the gap between crypto coin developers and security professionals. Many coin developers require extensive infrastructure to maintain day to day operations while hobbyist, investors, and traders require coin developers to do this securely and professionally. We bridge the gap between crypto coin developers and security professionals. Spectre Security is helping build better, safer, Crypto Coin projects. Security Professionals can help identify issues with a coin platform, infrastructure, and help find better ways to secure the network. Networks require constant monitoring and upgrades to ensure any weakness found can be addressed in the quickest manner. Exchanges, and Web Wallets have been constant attack vectors for criminals. This creates a prime space for security professionals to provide solutions to crypto developers. Investors can feel their investment is better protected and benefit in many other ways by having a more secure blockchain and coin infrastructure. Spectre Security Coin utilizes the Proof of Work and Proof of Stake consensus methods to secure and process the network. C11 is the hashing algorithm used for PoW that is ASIC resistant & Nicehash resistant. Easily send Spectre Security Coin via stealth addresses for private and secure transactions. View transactions and explore the blockchain directly from the wallet. Spectre Security Coin now features Masternodes that cost 25,000 XSPC and provide Masternode operators 80% of the current block reward from Proof-Of-Stake after block 500K. We have assembled an excellent team of people with over 14 years experience in crypto currency related fields. We will be selling 110 Masternodes to the public to pay for exchange listings and other marketing programs. The cost is (25,000 XSPC) for 1 masternode. We are basing the amount of all currency to be equal to .03 cents USD or 0.00000564 BTC per XSPC. ThisSale will be done via discord only. We need these funds to get on Exchanges! The Masternode Sale will End when we have sold a total of 110 Masternodes. There will be 6 Rounds of sales starting at .02 BTC. If a round is sold out, we will move to the next round immediately. Masternode sale prices will rise by 10% for each of the tiers. You can get the Latest Wallet Build from our github account. If you are an Application Developer or just like living on the cutting edge, feel free to build the latest source and try the newest software as we go. The road map is not a precise timeline and is by no means to be taken as completion times. This is simply to give you insight into where we are going with the development process. We reserve the right to change the roadmap at any moment for any reason. Our history in the cryptocurrency industry dates back all the way to early 2014. Initially we started off as a simple development group, we have evolved into a cryptocurrency services provider. We have added staff, and lots of products along the way. The operation has grown, but our goal remains the same – to be the best at what we do while helping others become better as a result. If you are looking to form a Partnership, please contact us on our Official Discord. Connect Now You can verify or identify our Legit Team members by the Discord Tag below. The following sections will help you find the answers you are looking for with links to guides that give further explanations. 1 - What is SpectreSecurityCoin? We started Spectre Security Coin to bridge the gap between crypto coin developers and security professionals. Many coin developers require extensive infrastructure to maintain day to day operations. While hobbyist, investors, and traders require coin developers to do this securely and professionally. Spectre Security uses an Advanced Hybrid Algorithm combining Proof-of-Work, Proof-of-Stake and Masternode as per coin mining method. 2 - Proof of Stake VS Proof of Work VS Masternode? Proof of Work was a fantastic innovation that formed the backbone of the original Bitcoin protocol. The idea is that by solving a computationally intensive math problem, one can prove the effort they've done to secure the protocol. The effort that is required to perform these computations contributes to a coin's scarcity and value. However, Proof-of-Work eventually becomes an extraordinarily expensive system. As time passes, the complexity of the problems involved becomes so great that “mining” the last few possible Bitcoin will require the entire energy output of the sun. Proof of Stake solves this issue in a very elegant way. Rather than using computer power as a scarce resource to generate security, Proof of Stake uses the scarcity of the coin itself. 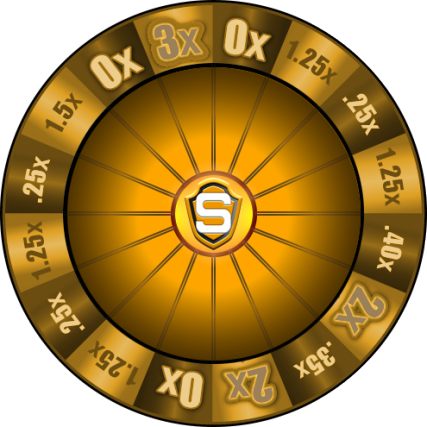 A user may choose to "stake" his coins to generate the next block in the chain, and his chance of doing so is basically proportional to the weight of his coins. Proof-of-Stake is eco-friendly and efficient and avoids the vast waste of energy and hardware overhead of Proof-of-Work based networks. Masternodes are decentralized servers on the network that runs 24/7 to maintain the health and security of the network. They are used by normal wallets for multiple features. These features consists of Direct send, instant transactions and private transactions. A collateral, a specific amount of coins, is required to be eligible to create a Masternode. 3 - Was there a premine? There was a premine of 25% of the coins (125,000,000 XSPC) to cover managerial and other issues relevant to the growth and development of the coin long-term as we believe to be necessary. 4 - Where can I check the network weight? You can check the network weight by hovering the lightning shape icon at the lower right section of your wallet. Basically, the higher your balance, the higher your “weight” is. The bigger YOUR weight, the higher the chances to submit the next block! 5 - How often will I receive stake rewards? There's no predicting exactly how many stakes you will get. However, if you stake with more coins, you get more blocks and you more likely to find a reward. Staking is like a kind of lottery. Some days you'll get more than usual, some days less. It's just an estimate. When your probability hits its maximum (Coin Age matures to a maximum), it doesn't mean that you will be paid, it simply means that the input won't get more mature. When the input has reached its maximum capacity, there's nothing else to do than wait for the input to stake. 6 - Where can I get more info about PoS algorithm? You may learn more about Proof-of-Work on Wikipedia or in our Whitepaper. 7 - Where can I get more info about MN algorithm? 8 - Where can I download the wallet? 9 - Is a bootstrap/snapshot available? 10 - How long does it take the wallet to sync? Also, if you send coins before the wallet was synchronized, look on the block explorer to see your coins in your address and don't panic. You need to sync the network before seeing your coins (you can't know if you coins have arrived to your wallet if the wallet never processed the transaction, it doesn't know it exists and that it had ever happened). 11 - Why is my wallet not synching? 1. Make sure you have the latest mandatory update. 3. Make sure you have peers. If it’s your first time give it some time. However, if it’s not your first time, you can delete the peers.dat file and restart your wallet to fetch another set of peers. 12 - How often do I need to backup my wallet? Right before and after encrypting your wallet and also, I would suggest to backup your wallet every time you create a new address in your wallet. Without a new backup you won’t be able to retrieve the coins stored on the newly created address. You should also backup your wallet before upgrading to a new version. 13 - How do I upgrade my wallet? Just replace the old binary with the new one. Before upgrading, make sure that you have the latest backup of your wallet.dat file. 14 - How do I use the bootstrap/snapshot? Once it’s downloaded, extract the contents of the ZIP file into the appropriate folder listed before for your operating system. 15 - How to send XSPC coins? Sending coins is very straight forward. If you are sending these coins to a friend, exchange or business, then all you will need is their Receive address (known as a deposit address on exchanges). If your wallet is encrypted, which hopefully it is, you will also need to have your passphrase (encryption phrase) ready as this is required every time you want to send coins out of your wallet. Pay To: Enter the XSPC address of your friend/exchange or business. Label: Name the address sent to. Please note that if you are sending coins to an address, make sure that you copy and paste it. 16 - How to receive XSPC? By default, you will only have one Receive Address, so just right-click on it and select Copy Address. This prevents from trying to manually type it out and making errors. Now give that address to whoever wishes to pay you (or exchange). Else, you may also click the button "New Address" at the bottom left of the "Receive" page to generate a new address. Give it a name to remember from whom or where you've gotten the coins from. 17 - How to open wallet for staking? 18 - What is the time of maturation? The amount of time needed for your coins to mature is 24 hours. Once the coins have matured, they will start staking. 19 - How do I combine multiple staking inputs into a single input? 20 - How do I stake my coins? 1 - You need an opened wallet. 2 - You need to synchronize your wallet (look at FAQ number 12 or tutorial on how to use bootstrap). 3 - Wait for your coins to start the process of maturing (will take approx. 24 hour). 4 - If and only if you have encrypted your wallet, you need to unlock it to allow yourself to stake. 21 - How do I add nodes? 22 - I withdrew from an exchange, but can't see my coins? Well first thing first, to see if your coins are or are not in your wallet, you can look on the blockchain. If your coins are in your wallet, make sure its synced completely. If your coins are not in your wallet, go to your email and look for a confirmation email. If you did confirm your email and still don't see your coins, or it shows reversed and still can't see your coins, that's an exchange issue and you will need to file a support ticket. 23 - How do we mine XSPC? 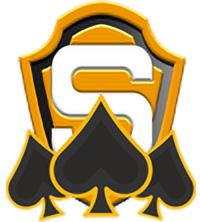 XSPC is a Proof-of-Work, Proof-Of-Stake and Masternode coin. That means it can be mined by mining using the C11 algorithm up until block 250,000, by holding coins in your online wallet, or by having a Masternode running on a server to collect Masternode rewards. 24 - What does "Generated but not accepted" means when staking? Generated but not accepted means that you found a block but someone submitted it before you, thus it was generated but rejected by the network since it can't have two identical blocks. It does not disturb your staking process. 25 - What to do when you get "Error loading block database"? Once that is done, you may restart the wallet. You will have to do the bootstrap again and let it sync up to date as well. 26 - What does "Not yet redeemed" means? It simply means that the coins haven't been spent yet. 27 - I uploaded the bootstrap but the wallet is still "out of sync"? It won't bring you directly to 100%, so you will need to wait for the wallet to find peers and download the blocks that were generated after the creation of the bootstrap. 28 - How do I import a paper wallet to my Desktop wallet? To do so, you will need to open your Desktop wallet console (Help > Debug > Console) and type in importprivkey [private key] (without the brackets) and then wait for the wallet to import the key and that should be it. If the funds do not appear, follow FAQ create a shortcut of SpectreSecurityCoin-qt.exe, open it's properties and in "Target", at the end of the line, add a space, then type -rescan. Close the wallet, open it using the newly created shortcut, it'll scan the blockchain with the newly added address and will add them to your balance. 29 - "Cannot obtain a lock on data directory [...]"? 30 - I can't unlock my wallet, can you help me? There is no way for anyone to help if you can't unlock (decrypt) your wallet for any reason. If you don't remember your password, try to remember it, we can't recover it for you as there's no database (centralized or decentralized) where your password is saved on. If you type in the right password but it tells you that it's not good, double check your spelling or write it in a txt file and paste it in the password input field, because there's no way for the password to change by itself between two executions of the wallet. 31 - How to rebuild your wallet transactions and rescan the wallet? 32 - How to rebuild your wallet transactions and rescan the wallet? After an unsuccessful transaction (stuck transaction not sending), or can't see your coins, you can do the following steps to reset the transaction and recover your coins and find the missing ones. To be able to buy a product on our shop, you have to create an account and then deposit your coins, from the list of available coins, to your address. Once they have hit 6 confs, you will be able to spend them instantaneously anywhere in the shop. Make sure to verify your email after each purchase to confirm it. Also look in your spam filter if you don't see the email.